Levels 2 & Up. All Regions DVD. 100 minutes. 13 exercises. Purchase this product now and earn 30 FJ Rewards! What is this? This video has two different center classes, each with six combinations that build and progress. 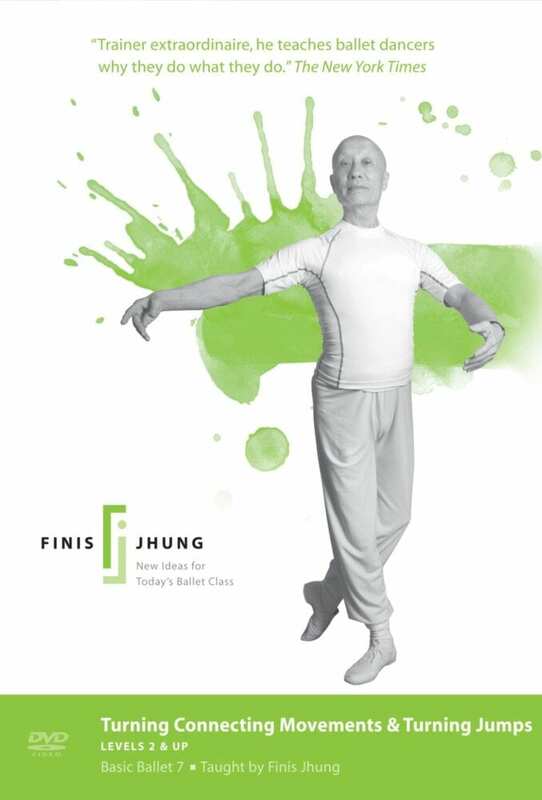 Count-by-count, Finis Jhung and Johanna Snyder of The American Ballet Theatre show you how to create beautiful lines, balanced turns, by correctly executing various linking steps. Knowing how to connect your movements is the key to your success. Center Class C teaches six combinations based on pas de bourrées, soutenus, balancés, and chassés that turn. Center Class D teaches six combinations based on grand jeté en tournant, fouetté arabesque, emboité, saut de basque, and connecting steps that turn. The video concludes with a discussion on proper turn-out, and the proper use of muscles and bones. The CD music is by Webster Smith. Discussion: Finding Your turn-out, proper use of muscles and bones. Get On Your Leg & Dance!